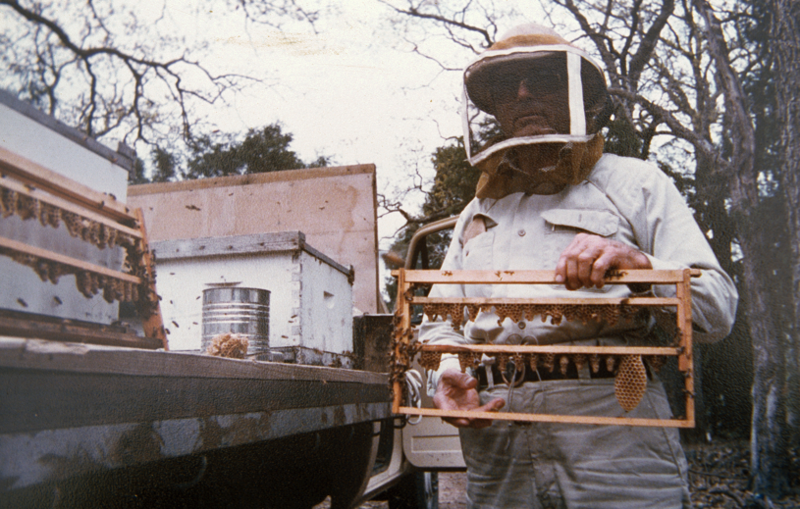 When G. C. Clint Walker, Sr. bought 150 hives of bees in the spring of 1930 at the age of 40, he had no idea that he was founding a business that would become a career for not only himself but for two of his sons and one of their sons. After losing the family grocery business in the little East Milam County town of Gause in Central Texas, Clint was simply trying to find some way to feed his wife and four young sons. The family was surviving the earliest years of The Depression with a large garden, lots of canning, and grandpa's skill as a butcher. Honey Bees seemed like a decent gamble. The gamble turned into a business that endures today. To be sure, the business has changed. We are now headed into our 88th crop year and our third generation of Walker Beekeepers. In the past decade we have survived Colony Collapse Disorder and managed to construct a new Honey Packing Plant, Retail Store and Production Facility near Temple, Texas. What hasn't changed is the family's commitment to producing the best quality honey and honey products. Whether you've been eating Walker Honey for 40 years or just found us on the web, we invite you to sample our carefully crafted and time tested products. Our hope is that all of our hard work will pay off in your enjoyment and pleasure. Thank you for being a friend . . . thank you for letting us serve you!